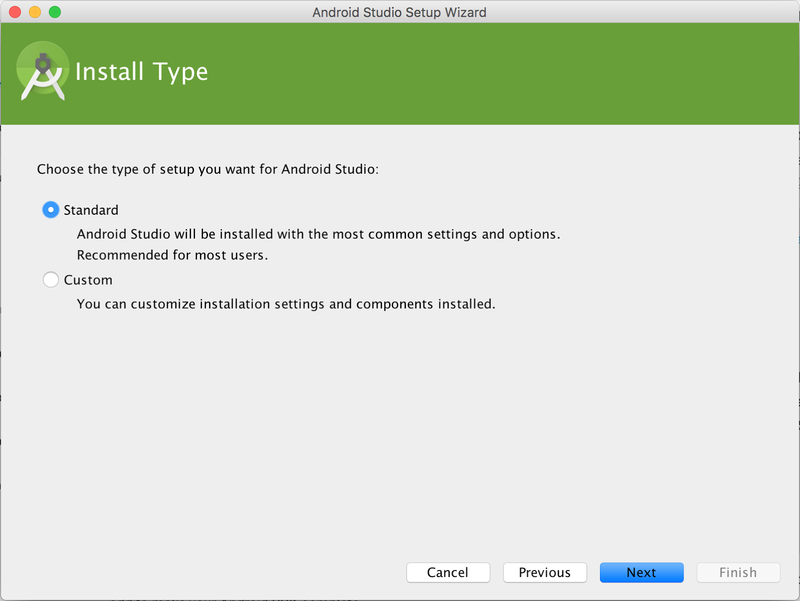 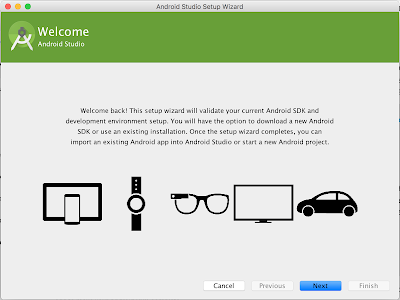 If you didn't download Android Studio, go download Android Studio now, or switch to the stand-alone SDK Tools install instructions. 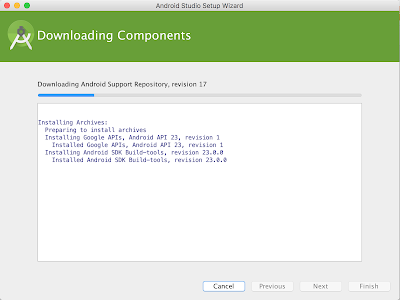 Before you set up Android Studio, be sure you have installed JDK 6 or higher (the JRE alone is not sufficient)—JDK 7 is required when developing for Android 5.0 and higher. 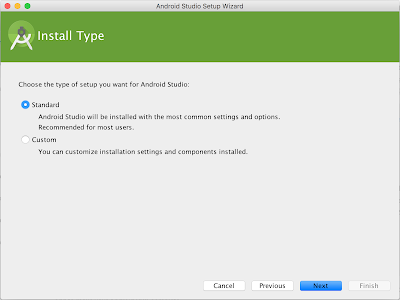 To check if you have JDK installed (and which version), open a terminal and type javac -version. If the JDK is not available or the version is lower than 6, go download JDK. Launch the .dmg file you just downloaded. 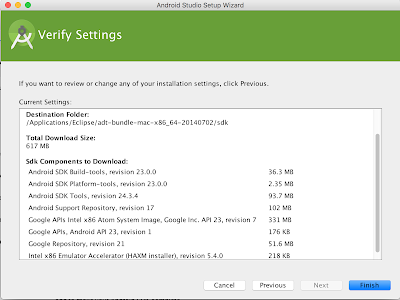 Depending on your security settings, when you attempt to open Android Studio, you might see a warning that says the package is damaged and should be moved to the trash. 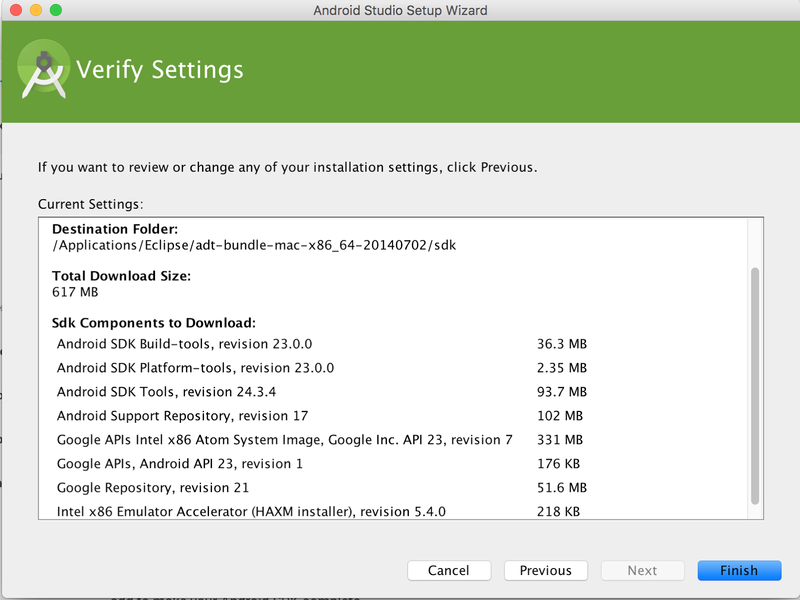 If this happens, go to System Preferences > Security & Privacy and under Allow applications downloaded from, select Anywhere. 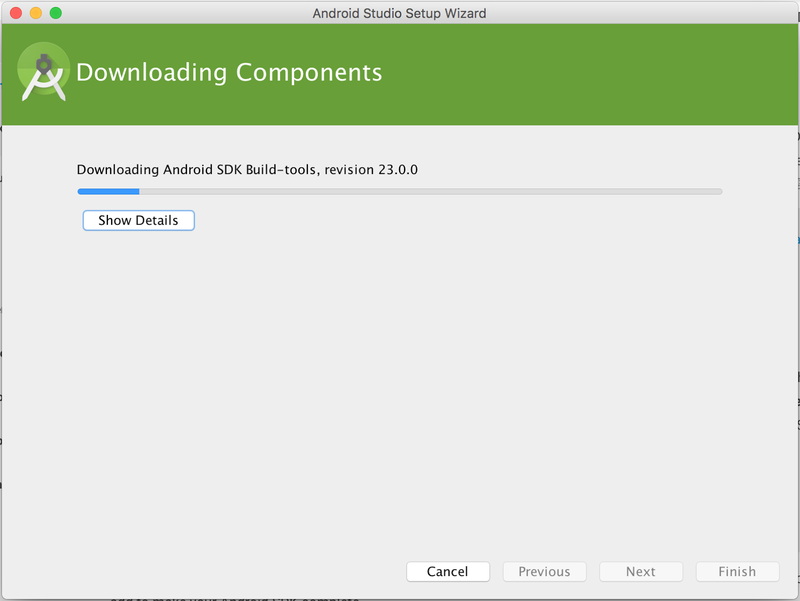 Then open Android Studio again. 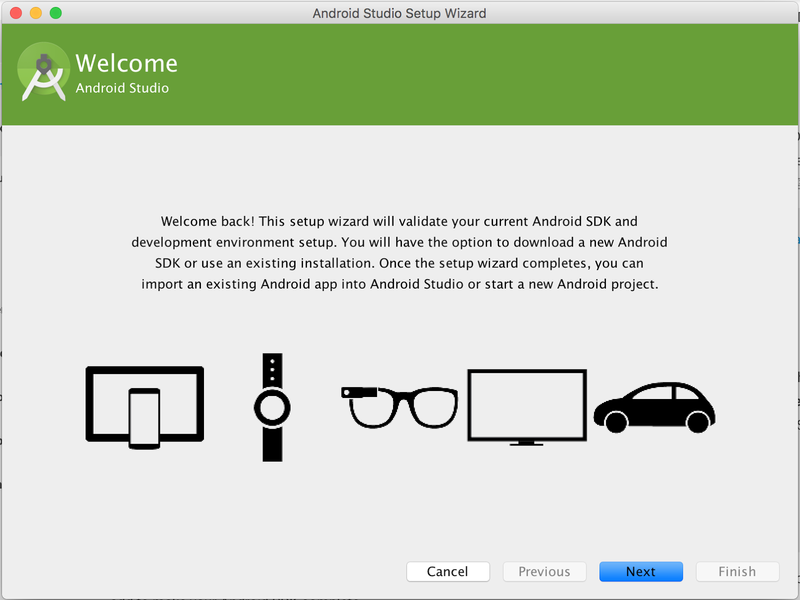 See the screens below to help you understand better the whole process.